Emergencies can come swiftly and unavoidably, catching you off guard and throwing you into disaster as you try to cope with them. That’s what makes them emergencies. But if you could have a helping hand save you from having to deal with it all by yourself, wouldn’t you contact them? Of course you would, but who can help with emergency locksmith needs in Calgary? The answer is Next Door Locksmith. Every single one of our licensed professional technicians is trained and experienced with emergency response, so we know how to handle your dilemma. And because we know emergencies happen all the time and are urgent, we’re on the clock 24/7 and will be there in 30 minutes to assist you. We serve the locals here in Calgary with excellent and professional service, and our customers experience satisfaction guaranteed with honest pricing and swift response. Next Door Locksmith offers emergency locksmith services for residences, businesses, and cars. Your home security sometimes has an emergency that needs to get taken care of right away. That might be a lost or broken key and you’ve got to get in to pull something out of the oven before it causes a fire. Or it might be a broken window lock on the ground floor and you’re concerned about a break-in. Or maybe your deadbolt is stuck and you can’t even close the door. Call Next Door Locksmith for emergency locksmith services and we’ll get it taken care of for you straightaway. Similarly, businesses find themselves in emergency situations. Whether it’s broken keys, lost keys, security breaches, or worse, every business owner should have an emergency locksmith on call to help them out. 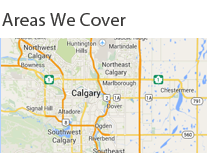 Next Door Locksmith is a good Calgary emergency locksmith for commercial property. Most common of all emergency locksmith calls are for an emergency automotive locksmith. Car lockout is all too prevalent and is unpleasant for everyone, and since your car is what gets you around, you’re kind of stuck until you can get it opened. Even worse is when you have the key break off in your ignition or when you’ve lost your keys, had them stolen, or you got them jammed in the lock or ignition. Call Next Door Locksmith and a technician will immediately come over to figure out the problem and resolve it for you without causing you any more of a headache or delay. Next Door Locksmith knows that reliable locksmiths are in high demand, and we strive to fit the needs of Calgary residents so that you know who you can call when you need it. Whether you need emergency locksmith services or not, you can call us for any automotive locksmith, commercial locksmith, or residential locksmith needs. We won’t waste time waiting around before answering the call or sending someone your way – we’ll answer 24/7 and we’ll send someone right away to be there in 30 minutes for you.